Enchanting environment, exclusive accommodation, excellent wines and breathtaking views. Private meeting room with panoramic views is available for your meeting, where beverages, snacks, and fruits can be had. The Provence style open kitchen can prepare you various meals, light lunch sommelier assisted vine-tasting dinner or a degustation wine-dinner. Wine-cellar visit guided by our sommelier where you can acquaint yourself with our 350 wine-cellar, learn about the techniques of the classical and the modern wine making. 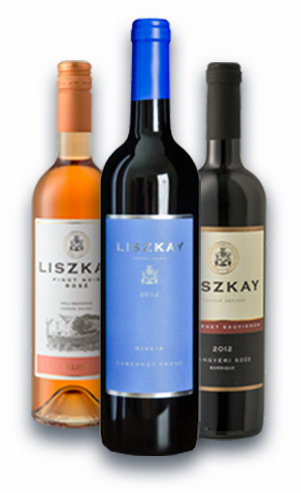 To wrap up that program the team can demonstrate their freshly acquired knowledge of the Liszkay wines and winery. Grill party – collective preparation to grilling and wine tasting in the lovely sunset. Summertime a pool party is perfect thing to do in the Estate panoramic pool and sun deck. It is the ultimate team building and relaxation. The hotel can help you set up various walking or bicycle tours to visit the exciting sites that abound in the vicinity. As an excursion above all we propose a walking tour to the “Hegyestű Geological Sight and Center” which is walking distance from the Estate. After reaching the top the hill reveals the inside of the basalt volcano that during the stiffening process split up in to numerous, repetitive vertical columns. This sight is unique in Hungary and it is very rarely found in Europe. The very top of the hills gives a most fantastic view of the entire Kali basin and Lake Balaton. But one thing is sure; the team at Liszkay Estate is determined to help in working out any other ideas you may have as to how to pass the time the right way. When we say farewell to each other we, at Liszkay’s want you to depart with long-lasting, good memories.